Although an engineering degree graduate, Edwin found himself forging a different path. He began his career in Procter and Gamble as Management Trainee for Brand Management and was eventually promoted as Senior Brand Manager where he led the launch of Safeguard Gold catapulting the brand’s market share to 50% from 10%. 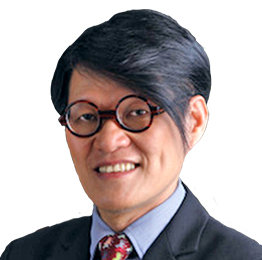 In 1988, Edwin entered the banking industry with an assignment as Director of Sales and Marketing for American Express International (Philippines and Guam). 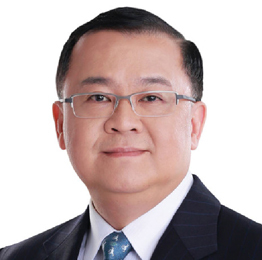 After that he became Vice President for Citibank, serving as Head of Cash/Trade Product Management and Sales where he designed and implemented the PDDTS (Philippine Domestic Dollar Transfer System) for the Philippine Banking industry which won Best New Product Introduction award in Asia (Citibank). He started with Union Bank of the Philippines as Senior Vice President taking over as Marketing Director and Chairman of First Union Plans/First Union Direct where he launched the bank’s internet banking business.Today, Edwin has over 25 years of banking experience with successful stints as Union Bank’s Credit Card, Retail Banking, Auto/Mortgage, Transaction Banking, Digital Banking and Corporate Product Banking businesses. Edwin was named President and CEO of Union Bank in 2017 and is also serving as the bank’s marketing director. Edwin obtained his Bachelor’s degree in Mechanical Engineering from the De La Salle University where he was also the Chairman of the Student Organizations’ Council, a Leadership Awardee and was recognized as the Most Outstanding Graduate. He completed the Advanced Management Program at the Harvard Business School in 2011. Jimmy co-founded the Primer Group of Companies in 1985 with his brother Johnny Thai and friends Thomas Lim, Jerry Sy and Willy Sy. His dedication and hard work steered the growth of Primer Groups core businesses in the retail and distributon of the world’s most premium consumer goods and brands such as footwear, apparel, luggage, equipment, and industrial products across 13 countries. He was behind Primer’s concept stores such as The Travel Club, Bratpack, Res Toe Run, Grind, Sneakpeek, and Recreational Outdoor eXchange (R.O.X), General, Lady Bag and Flight 001. Under his leadership, the Primer Group has diversified and secured a solid and profitable foothold in the Heating, Ventilation and Air Conditioning (HVAC), ink manufacturing, creative designs services, silkscreen printing and energy efficiency services. The company has set up Stellar Equipment &Machinery, Aircond. Network Philippines Inc. (ANPI), Brushstroke and Designery, Union Inks and Graphics Philippines, Inc. (UIGPI), Primer Printing Services Inc. (PPSI), and Beyond Energy Solutions Technology Inc. (BEST). Jimmy has experience in leading cross-functional teams to achieve aggressive business goals and drive the evolution of concepts into achievable business; identifying and capitalizing new growth opportunities and forging relationships across Asia Pacific, specifically in ASEAN; and developing and implementing strategies that increase product awareness, market share and profitability. He is a recipient of the 2014 Agora Award for excellence in marketing by the Philippine Marketing Association for successfully and consistently leading the Primer Group towards outstanding dominance through innovative and uniquely driven marketing initiatives. In 2004 he was a one of the finalists for the Entrepreneur of the Year award, given by Entrepreneur Philippine. He was also named a finalist for the Young Entrepreneur Award given by Ernst and Young. Considered as one of the most prominent names in the Philippine franchising sector, Ms. Limjoco is a two-termer President of the Philippine Franchise Association (PFA) and is currently the Vice Chairman of the Association. 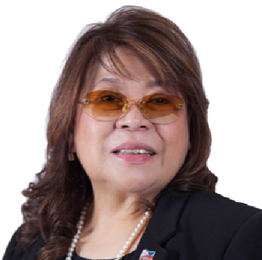 She once spearheaded the first Philippine hosting, through PFA, of Asia’s biggest franchise event in Asia – “Franchise Asia 2011”, which successfully brought into the country notable names in the international franchising community as well as the world’s top franchise brands, reaffirming the country’s position as one among the frontrunners in global franchising. Over the years, Ms. Limjoco has represented the PFA in various international franchise events including the World Franchise Council and Asia Pacific Franchise Confederation Meetings, as well as various international franchise shows in the US, Europe and Asia. She currently serves as Vice Chairman of the Phoenix Group of Companies and was recently named as the President of Philippine Chamber of Commerce and Industry (PCCI). Acknowledged for her vast contributions in franchising and other businesses, Ms. Limjoco has been conferred with numerous recognitions most recent of which is the International Women Entrepreneurial Challenge (IWEC) Award of New York bestowed on female owners of small & mid-size businesses all over the world who have made their mark in the marketplace and are committed to Corporate Social Responsibility programs in mentoring, board participation, community outreach, and sustainability. She is the first ever Filipino and Asian to earn the Certified Franchise Executive after taking the Mini-MBA on Franchise Management at the University of St. Thomas in Minneapolis, USA, and at the Asian Institute of Management, both accredited by the Institute of Certified Franchise Executives (ICFE) of the US-based International Franchise Association.